Dr. Harrie Wolverton is passionate about providing Baton Rouge and surrounding communities with drug-free options for the elimination of pain and the development of true wellness. Since 1988, Community Chiropractic has helped family members of every age enjoy a better quality of life. Baton Rouge Chiropractor Dr. Harrie Wolverton offers the best in research-based pain relief and wellness optimization for those he’s served since 1988. At Community Chiropractic our goal is to help every patient have a better life, with an abundance of vitality and optimized function. Our chiropractic care center is dedicated to bringing you the type of skillful treatment excellence that routinely produces results you can count on. We’ve found over the years that many people don’t know what chiropractic is; nor are they aware of its incredible ability to restore function and well-being to those in pain. Our office has been given a giant vote of confidence over the years by thousands of patients that have recovered their health and recaptured their vitality. We often hear the words, “I feel better than I realized I felt bad in the first place. This is real chiropractic!” So if you’re looking for real, you’ve come to the right place. At Community Chiropractic, we also sell nutritional supplements, cervical & lumbar support pillows and adjust extremities. Visit us to learn which of these products is appropriate for your healthcare needs. 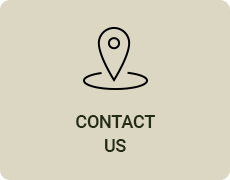 Tour our site and call Community Chiropractic today to schedule a consultation. See why so many of your health-conscious neighbors already have! 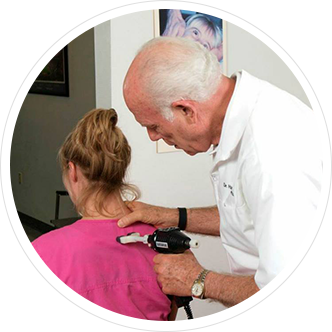 Dr. Wolverton is a graduate of the prestigious Palmer College of Chiropractic, often referred to as the “Harvard of Chiropractic Colleges.” He’s had over 30 years of practice experience and is the past president of the Chiropractic Association of Louisiana. Every year Dr Wolverton attends classes and seminars in order to build on his knowledge and skills to continue to provide you with the high quality care for which he is known. Our office is known as a place of character, competence and compassion. We have a reputation for being trustworthy and reliable. You can count on us to provide you with an excellent chiropractic adjustment. 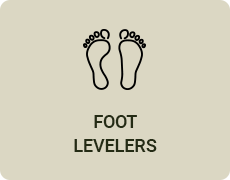 We often recommend to our patients customized Foot Levelers foot orthotics using sophisticated computerized scan technology. As your feet are the foundation of your entire structure, foot alignment is critical. Our patients find that their adjustments are more effective when the joints in their feet are stabilized. Community Chiropractic offers its patients a unique and affordable opportunity to maintain their health and function through our Wellness Club. 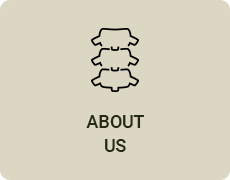 Our patients appreciate the fact that we offer two distinct styles of premier adjusting. Both approaches are gentle and create positive, lasting change in the spine. For those who don’t favor twisting or popping while being adjusted, we offer computerized instrumentation treatment that’s low in force and quite relaxing. 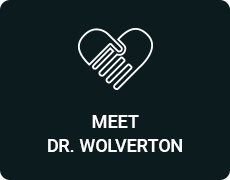 Dr. Wolverton is also highly experienced in providing traditional hands-on treatment techniques. Contact Dr Harrie Wolverton of Community Chiropractic your Chiropractor in Baton Rouge today for a convenient appointment! Dr. Harrie and his entire staff are professional and so helpful. Feel at home after only one visit. Also, experienced some wonderful therapy that I had not had at previous chiropractic offices. Great first visit. Feeling like I’m on the road to recovery! I walked in and was evaluated and adjusted immediately. The staff was extremely pleasant. I have experienced chiropractors in the past where I felt like I was rushed and not listened to. This was the exact opposite. I am grateful to be one of Dr. Wolverton’s patients. Dr. Wolverton was very thorough and attentive. I left my first visit feeling much better than when I arrived. Thank you so much! I came in with so much pain in my shoulder and neck. Just after 1 visit I felt like a new person! The dr. took so much time with me. He listens very well. The ladies were awesome! They entertained my 1 year old and kept her happy so I could be treated. Thank you all! I felt better after my first visit and am optimistic that I can be helped. Everyone was friendly, empathetic and genuine. I felt a great sense of comfort and relief when I left. Very welcoming staff and Dr. Wolverton really listened to me. Will definitely keep going to this practice! I am impressed at how attentive the staff and doctor was to my individual care. The Dr. and staff were excellent and I’m convinced Dr Wolverton will resolve my complaints! This office has the best front office staff I have ever encountered at a Dr Office. Friendly and down to earth. Dr was the same. I really felt they were here to work on my issues and not just a way to make $$! I will definitely be back! I was very pleased with the outcome of my visits and my overall recouping from my pain. Learned a lot of information I did not know. Very educational on taking care of my pain issues.